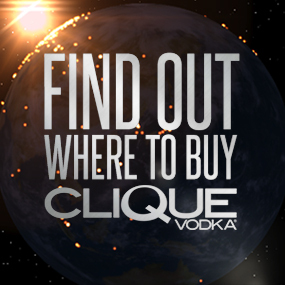 To make the main ingredient, pumpkin infused Clique Vodka, you’ll need a small sugar pumpkin (sometimes called a baking or pie pumpkin). Cut it in half, remove the stem, seeds and stringy bits, then place the halves flesh side up on a baking sheet, and sprinkle with a mixture of 1 cup brown sugar and 1 tablespoon of pumpkin pie spice. Bake in a 400 degree oven for about 20 minutes, or until soft. Let the pumpkin cool before cubing the flesh and add to a large glass infusion tank, jar, or pitcher with 2 bottles of Clique Vodka and 1 split vanilla bean (cut it right down the middle and spread the halves out to reveal as much surface area as possible). 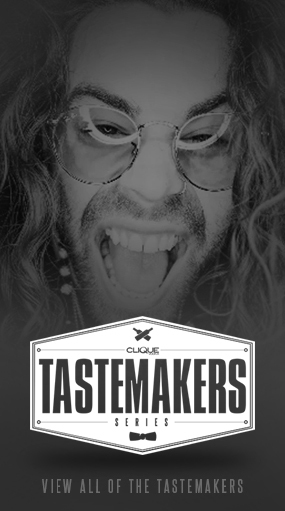 Stir the infusion a few times a day for about 3-4 days, or until the Clique Vodka has turned a brilliant orange color and smells sweet. Strain out the pumpkin cubes and get ready to stir up some trickery! 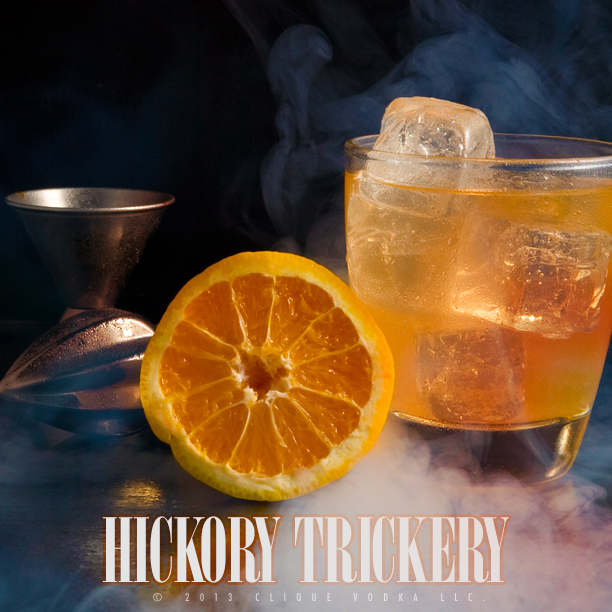 To make the “Hickory Trickery” cocktail, add 1 1/4 oz pumpkin infused Clique Vodka to an empty bottle and fill with hickory smoke using a smoking gun. Shake the bottle a few times to infuse, then pour the smoked pumpkin vodka into a short glass with ice, and add 1/4 oz simple syrup (1 part sugar dissolved in 1 part hot water) and 2 oz fresh orange juice. If you want to make up a pitcher of trickery, smoke the pumpkin infused vodka first, then add it to a pitcher with a lid or small opening at the top along with the simple syrup and oj. 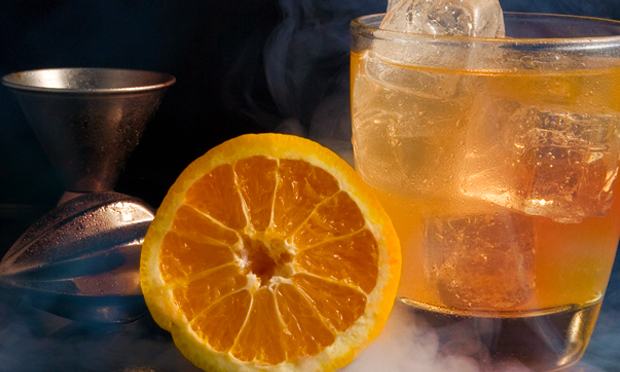 You can then top the whole batch of with a little more hickory smoke, and it will spill out as you pour the cocktails for a delightfully spooky Halloween presentation! If you want to try out more smoked cocktails for Halloween, check out the “Smoked Blackberry Sour” and “Fired Up” from the MixBook!